The Chicco KidFit is a very easy to use, high backed booster with better crash test results than some of the competition. This booster is comfy with dual cup holders and LATCH connectors with a front tightening system that is virtually effortless. We like that this booster is close to 10 lbs making it easier to lift and carry, but it has the widest seat bottom making it a poor choice if you need to fit three kids in the backseat. This booster is nicely priced considering the added features, but the quality is also on par with the lower price which is a disappointment. This booster is a great choice for families on a budget who don't want to sacrifice safety or ease of use in favor of saving money. This Chicco booster is reasonably priced and easy to use making it a good choice for many families. As part of the Artsana Group, a lifestyle company, Chicco (kee-ko) is one of the most popular baby-centric brands in Europe. Started by Enrico Catelli, Chicco creates a variety of baby gear for little ones from before birth to preschool age. Chicco sells in more than 120 countries. This chart is a comparison of the overall scores for each booster seat we purchased and tested for this review. The Chicco (blue) earned a third place rank and a Best Value award. The sections below provide details on the Chicco's performance compared to the competition during testing. Individual metric scores are used to calculate the overall scores with an emphasis on ease of use and crash test results. The KidFit headrest has EPS foam for potential protection in the event of a crash, but it lacks additional softer padding for comfort. The KidFit earned a 7 of 10 for crash test results. 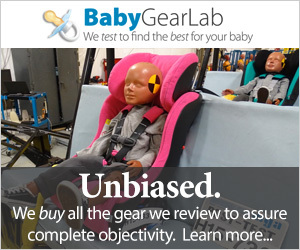 While all of the boosters in this review have met or exceeded the federal guidelines for booster seat safety, and are therefore considered safe, some earned better than average crash test results indicating an additional margin of protection. The KidFit is one such seat, with a portion of the crash test data being better than most. This graph is a comparison of the HIC crash test results for the Chicco and the Evenflo Spectrum which has the best data in the group for this sensor. The Chicco crash test data for the head sensor (HIC) in the crash test dummy is 575 where the maximum allowed is 1000, and a lower number indicates better performance. The best results in the group is 456 for the Evenflo Spectrum. This result is less than half the maximum allowed. This graph is a comparison of the chest sensor (g) crash test results for the Chicco and the Peg Perego Viaggio Flex which has the best data in the group for this sensor. The crash test data for the KidFit's chest sensor (g) is 46 where the maximum allowed is 60, and a lower result is better. The best result for the group is 39 for the Peg Perego Viaggio Flex 120. The high for the group is 48. The KidFit earned an 8 of 10 for ease of use in our tests. This metric is where the Chicco shines. Little testers were able to use the seat and buckle themselves in without problems. Like most of the products with armrests, children need some practice to learn how to work around the rest, but the added comfort makes this learning curve worth it. The KidFit installs using LATCH anchors (above left) that retract into the shell when not in use (above right). This attachment prevents the booster from moving freely in the car when not in use and is a useful safety feature. The LATCH straps tighten and release from the front (above left) making it easier to install than a convertible or infant car seat. The seat bottom houses the LATCH anchors and the shoulder belt retainer (above right) for the booster when is without the back. The base is relatively smooth with no rough edges, and it has a slip-resistant edge. The KidFit headrest height is adjusted using a button on the back of the headrest (above left). This maneuver is possible from the front with your child in the seat. The shoulder strap retainer is on the headrest (above right) and moves with the headrest for proper seatbelt alignment. The KidFit has two cup holders attached to the seat bottom of the booster. This booster has dual cup holders molded into the sides of the seat bottom. They are sturdier than much of the competition. The KidFit earned a 5 of 10 for weight and size. This lower than the average result is directly related to the KidFit being the widest booster in the review. This width means it is unlikely it will fit across the backseat with two other car seats. However, it is the lightest high backed booster in the review with a remarkable weight of only 10.4 lbs. This weight makes the Chicco more comfortable to carry, but the size makes it harder to move from car to car. The Chicco isn't as comfortable as some of the competition but kids did think the bottom was sort of "cushy". The KidFit earned a 6 of 10 for comfort. Little testers like the fabric of this booster and said the headrest is "sort of" comfortable and the bottom is "cushy." They aren't wrong as the seat bottom is nicely padded, but the headrest is less so. The headrest is also shallow and splays out wider than it needs to which creates possibly the least supportive in the group for napping. It does have armrests though, and that improves the comfort over those without them. The Chicco quality is average compared to the competition with a sturdy seat that has some disappointing material choices. The KidFit earned a 6 of 10 for quality. The overall fit and finish of the booster are uninspired and nothing to crow about. The padding is adequate and better than some but not as thick as others. The fabric is only okay, but at least it isn't as rough as the Britax Frontier ClickTight. The shell is self-contained and looks good without the nooks or exposed fasteners found in some of the competition. The booster feels sturdy; it is just the materials that seem lackluster. Chicco makes a variety of car seat options including convertible and infant car seats. KidFit Zip 2-in-1 Belt Positioning Booster Car Seat — This product is almost identical to the booster we tested, but it has zip off fabric that makes removing and washing the cover easy and efficient. It also has the bonus kid console for the storage of big kid treasures. KidFit Zip Air 2-in-1 Belt-Positioning Booster Car Seat — This high backed booster is similar to the one we tested here, but it has some additional features like the ergoboost® seat bottom, increased airflow, and a zip-off seat cushion that extends into a leg rest for extra comfort. This kind of support can be a welcome addition for longer trips or shorter children to prevent their legs from dangling uncomfortably. GoFit Backless Booster Car Seat — This backless booster seat and belt positioner is similar to the booster we tested here without the back attached. This booster has the ergoBoost® seat with double foam padding. The fabric is removable and machine washable. It has dual cup holders that fold out of sight, and it has a carry handle for easier transfer from car to car.